While Sonett products are available in most European countries and elsewhere, the Sonett Sensitive series is harder to get and often pricy outside of Germany. Here’s how to find and buy your organic laundry detergents, body care products and other cleaning agents from Sonett with affordable pricing. My favorite German brand of organic, 100% biodegradable laundry liquid has long been Sonett which is suitable for babies, children as well as just about anyone health-conscious with or without sensitive skin and allergies. You are in luck if located in Germany, where you have best availability and lowest pricing in local shops. Outside the country however, it’s often sold in expensive eco-shops online or elsewhere. If you can find the Sensitive series at all. The best pricing & availability has been on the eBay store’s global version. Click here to browse through Sonett Sensitive products on eBay. While I’ve noticed that the situation on available sellers changes from time to time, there are usually several in Europe, and US. So do check that out. Delivery is usually door-to-door so bigger orders will be more cost-effective. 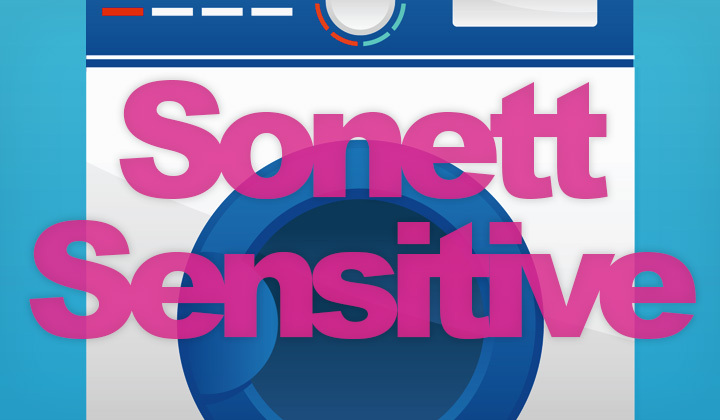 Where do you buy your Sonett Sensitive products? Please, share your knowledge & questions in the comments below! A quick word of advisory, that occationally there are so called ‘affiliate links’ placed within the bits of content found on this blog. It’s supports my blogging habit tremendously in exchange for hopefully mutual benefit.